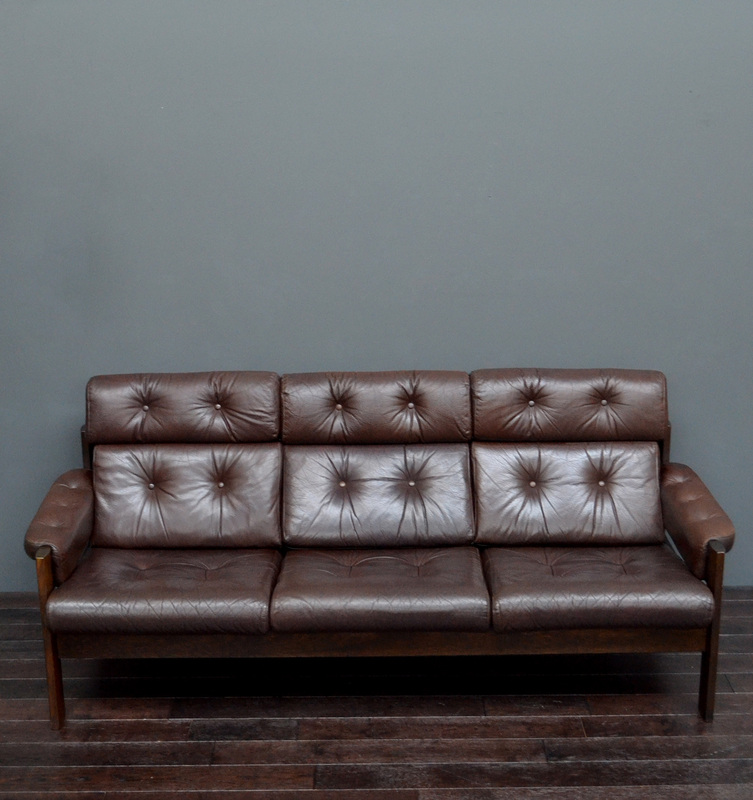 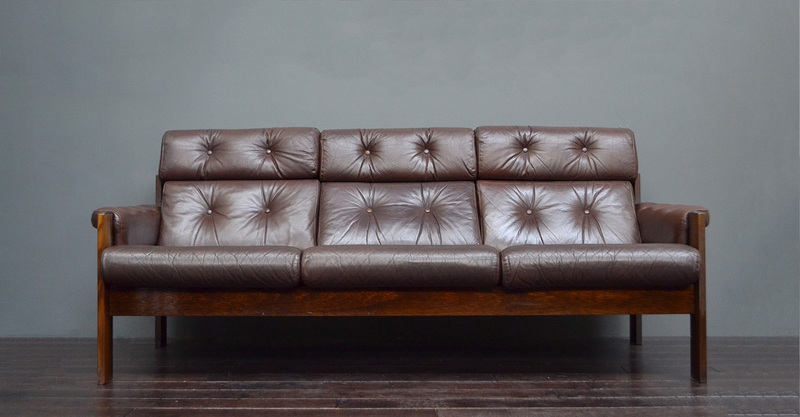 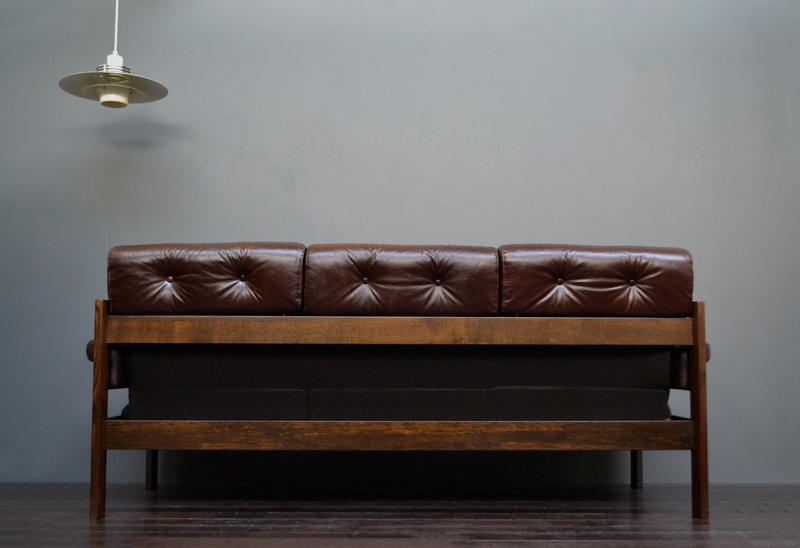 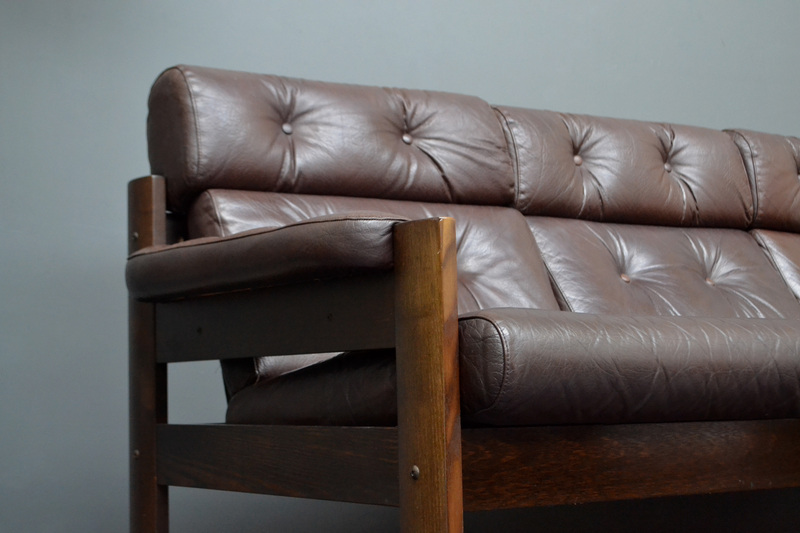 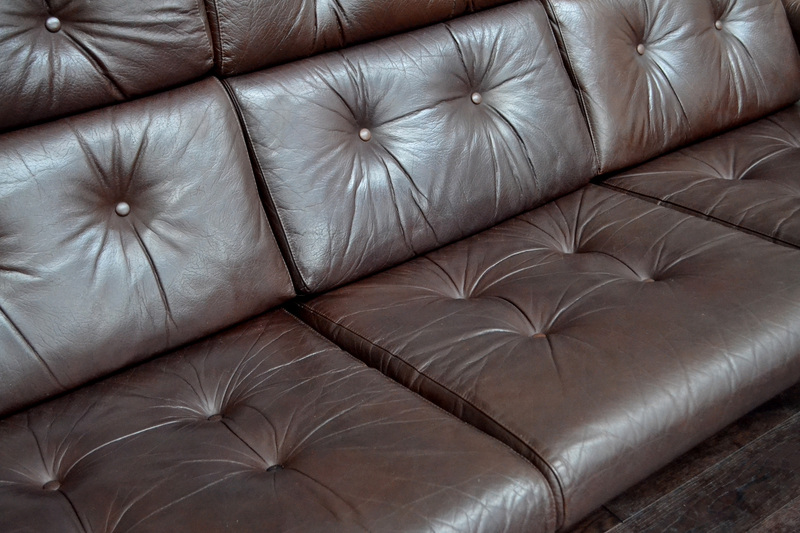 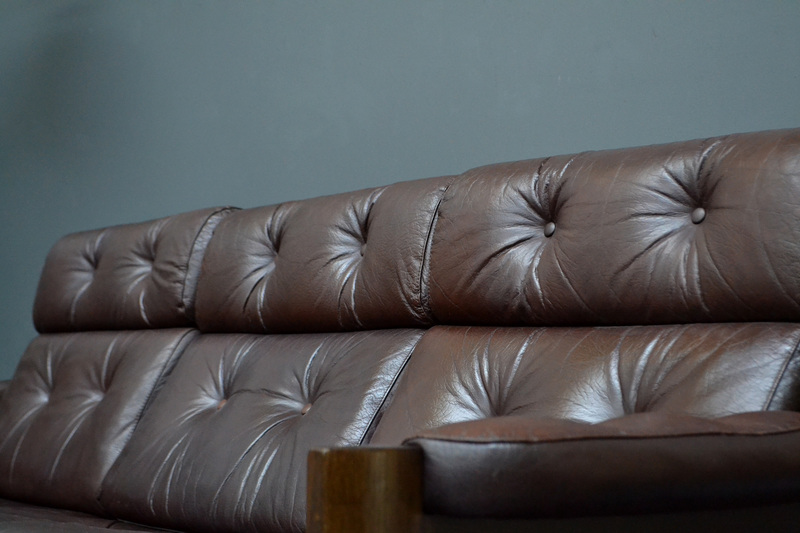 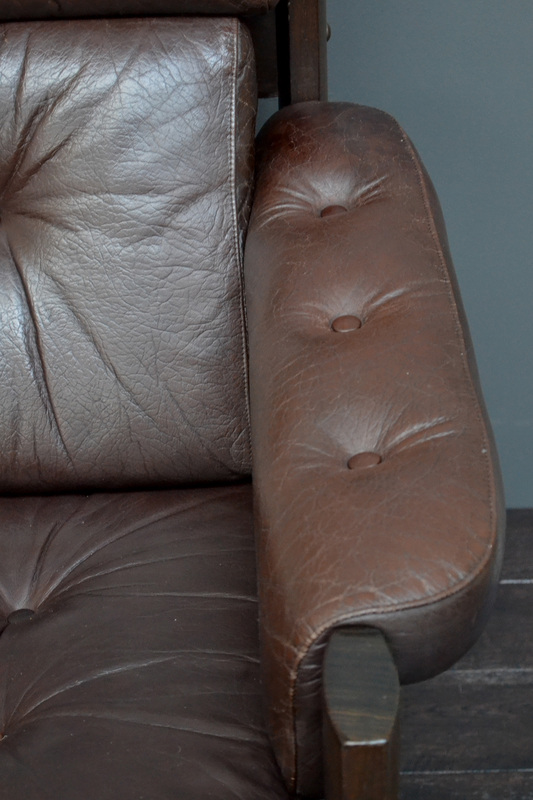 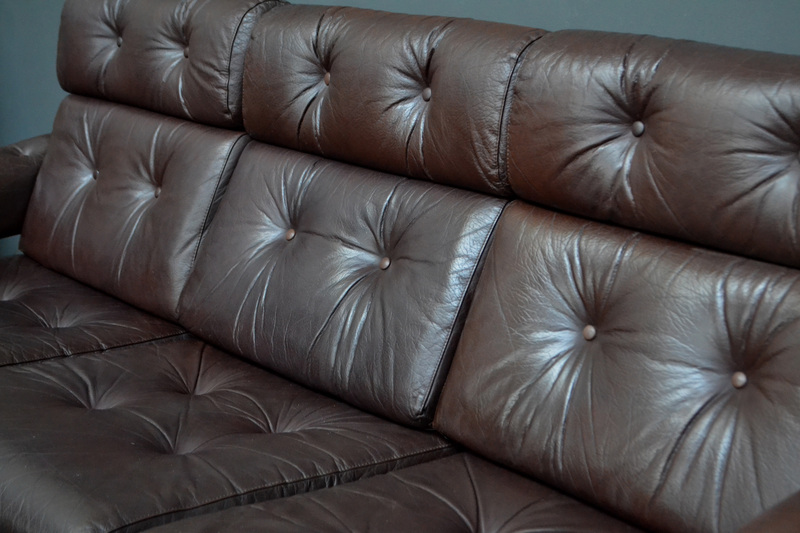 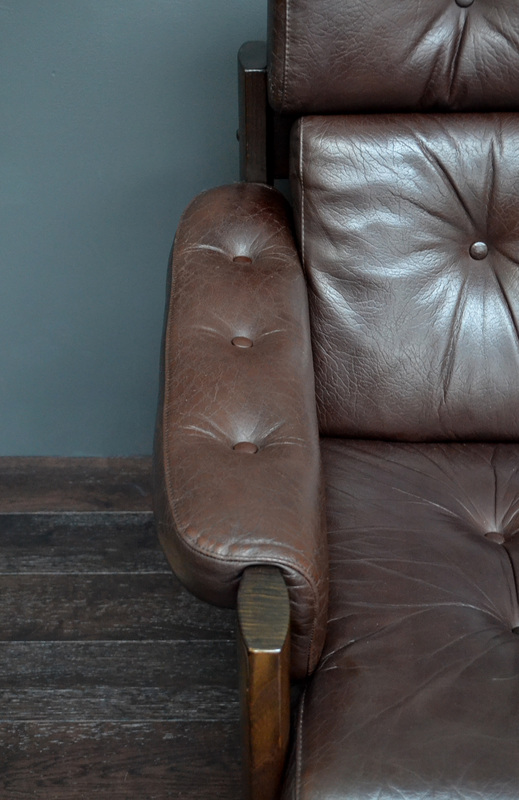 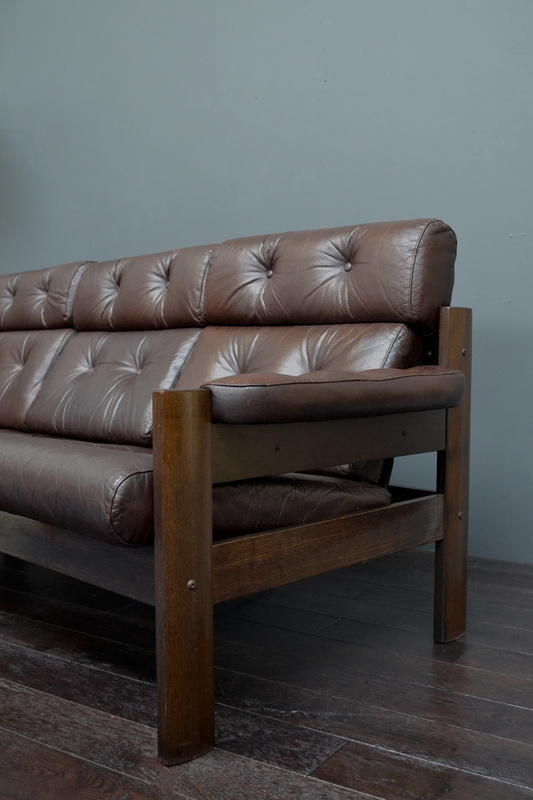 A rare dark brown leather sofa with a sculptural and dark solid wooden frame. 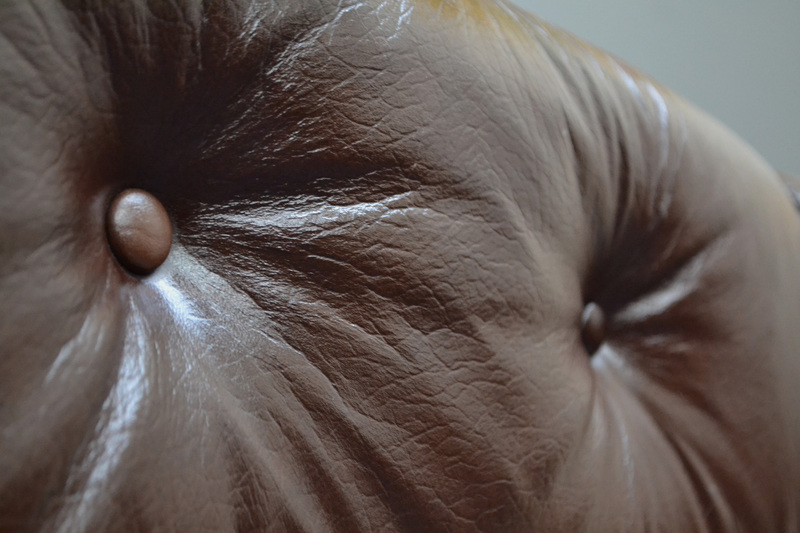 Made by quality Scandinavian manufacturers Ekornes. 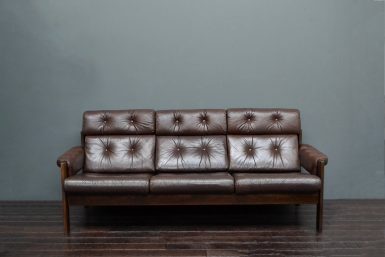 Would suit both vintage and contemporary influenced interiors.